When Caity and Ricky told us they wanted to do their engagement session in Meredith, we thought OK, we've done that many times and it will be cool. 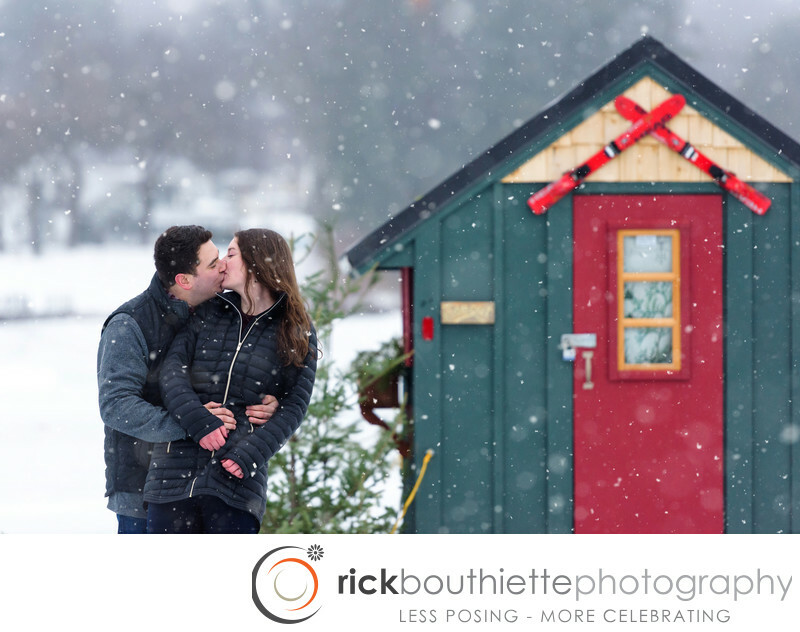 Part way through their session we decided to head for the frozen Lake Winnipesaukee for a few pictures... And what a surprise! Instead of a vast frozen scene, Meredith Bay was a New Hampshire winter scene dotted with colorful bob houses. It was just a few days until the Great Meredith Rotary Fishing Derby which is an huge annual event in the Lakes Region. Caity + Ricky were right at home on the ice, surrounded by the colorful bob houses. They spend a lot of their free time in the Meredith area and you could tell that they were "regulars".